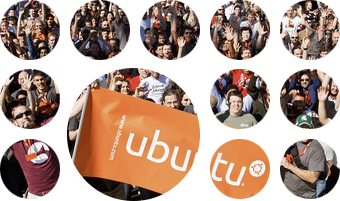 Ubuntu App Showdown was introduced with much fanfare during the last release cycle. And if you look at the number of apps submitted, it sure looked like a success story. But that's not it if you look at the list in a case by case manner. What happened to those hotshot apps? Are they still thriving? Unfortunately, most of them are not. Lets take a closer look. Ubuntu Touch App Showdown 2013: Will it be any better? By any stretch, the 2012 edition of Ubuntu App Showdown was not a letdown. More than 130 apps were submitted and some of them were exceptionally good too. But what disappointed everyone was the continuous evolution of those submitted apps or the lack of it. Once the contest was over, even the most highly regarded applications rarely got any updates. We had featured 15 apps from Ubuntu App Showdown 2012 which we thought were the best among the lot. Lets checkout the current status of those apps (and some other popular ones too). Nudge: Received the last update 59 weeks ago according to Launchpad. Toggle: Again, the last update it received was 59 weeks ago according to Launchpad. blubPhone: Used to be one of my favorite app from last year's App Showdown. Less relevant now, lots of established alternatives around, like AirDroid. Last updated on Sept 2012. XKCD Browser: Last update was 54 weeks ago according to Launchpad. Same story applies to a host of similar apps such as Webbar, Qtiko, RedThat, Postman, MyAgenda, and Download Monitor. The only exceptions being GWoffice and NitroShare. GWoffice is a desktop interface to Google Drive and it seems like the project is alive and kicking. It has support for the latest Ubuntu 13.04. On the other hand, NitroShare is not as good or active a project like GWoffice, but at least they say they are not dead and are in the process of adding new features (though the announcement is more than an year old). Now, let's talk about the big players, the ones who stole the show at last year's Ubuntu App Showdown. First, the three official winners. LightRead: An excellent RSS reader that nicely integrated with Google Reader. It was neatly laid out and worked as promised. But since Google has decided to discontinue Reader, the app suddenly became irrelevant. Last update was on 2012-10-05. Fogger: Fogger turns your cloud app into a regular Ubuntu desktop app. Even though the basic idea was simple, it has to be one of the most cleverly packaged apps of the lot. Luckily for all of us, development of Fogger is still going pretty strong as per Launchpad records. Last update it received was 5 days ago, but the one before that was 53 weeks ago. So not exactly "alive and thriving", but still, the track record is better than most others. Picsaw: A puzzle game that uses your own pictures to create jigsaw puzzles. According to Launchpad records, the last update it received was on 2013-05-07. But the release before that was more than an year ago. Again, not exactly thriving but better than most others. The current status of community award winners from last year's Ubuntu App Showdown doesn't paint a rosy picture either. Ridual, OrthCal and Cuttlefish are either completely shut down or haven't received an update in more than an year. The only saving grace is the Variety wallpaper changer which is still being actively developed and supported. So what is happening? I strongly believe that, the adoption of a platform by the masses and the developer interest in it goes hand in hand. Simply put, these are still early stages of transformation for them. Ubuntu and Canonical have a long way to go before they're able to generate enough confidence and interest among developers. And contests like these may not produce immediate results, but will deliver in the longer term. Thanks to Michael Tunnel's blog for details and inspiration for this post. And stay tuned for more updates with regard to Ubuntu Touch App Showdown 2013.